Home » Design & Events » Coming Up – A Mother’s Day Photo Shoot in Munich ! Coming Up – A Mother’s Day Photo Shoot in Munich ! Hello everyone, Mother’s Day here in Germany is quickly approaching and if you happen to live in Munich then I have something exciting to tell you ! 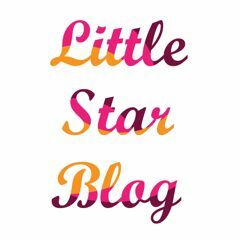 Littlestarblog has partnered up with two of Munich’s leading kids stores, Lili & Milou and Julies for an exclusive Mother’s Day event. Like many other moms, I am the designated photographer in the family which is great fun but unfortunately I am just never IN the pictures. Having a beautiful photo of myself with both of my kids would be a dream come true, which is why I am going to make sure that you get yours ! All you have to do is show up with your little one(s) in tow, I will photograph you and you will receive some wonderful photos just in time for Mother’s (and Father’s) Day ! Find out more here and spread the word ! I hope to see you on Saturday and can’t wait !! !